Volunteers braved the rainy, windy weather Tuesday to finish building the first playground located on parkland along the Mississippi River in Minneapolis. Organizers say the playground, just blocks from Target Field, was built in response to the growing number of young families in the North Loop neighborhood. North Loop residents pushed for the park, to meet the needs of families and children living in the neighborhood or visiting downtown Minneapolis. Located at the corner of 4th Avenue North and West River Parkway, the playground is built on the site of a former sawmill. 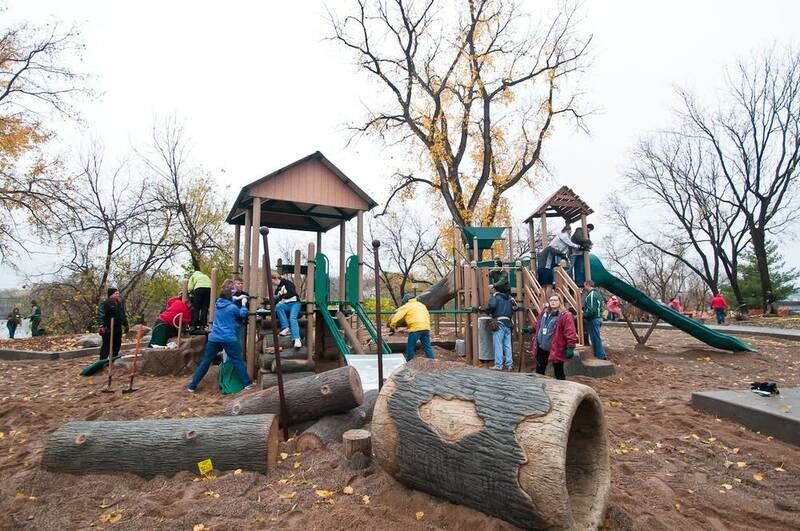 More than 50 volunteers from North Loop Neighborhood, Minneapolis Parks and Recreation, the National Recreation and Park Association, Delano-based Landscape Structures and Target Corporation completed the new playground Tuesday. 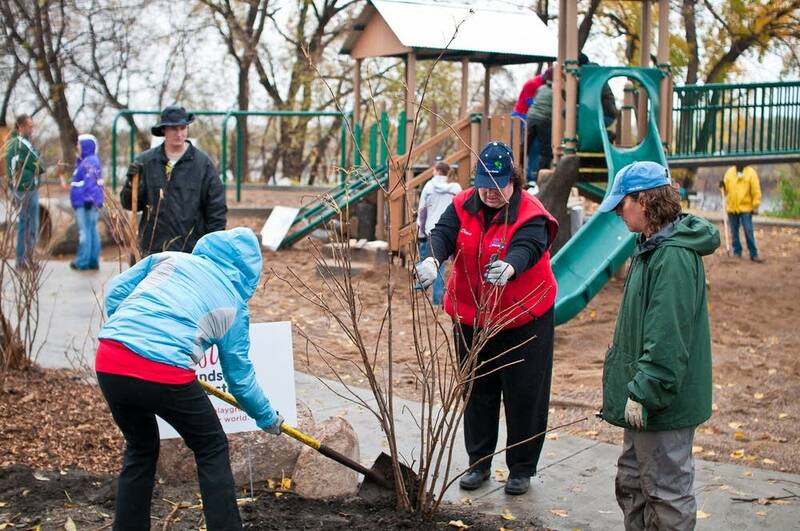 The National Recreation and Park Association volunteers were in the Twin Cities for their annual convention, and helped build the new playground as part of their "Leave it Better" community service project done each year in the convention's host city. Laura McCallum is MPR News' managing editor for daily news.